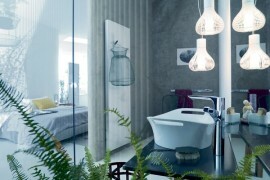 Bathroom Lighting – A new modern lighting fixture can transform your bathroom in minutes. 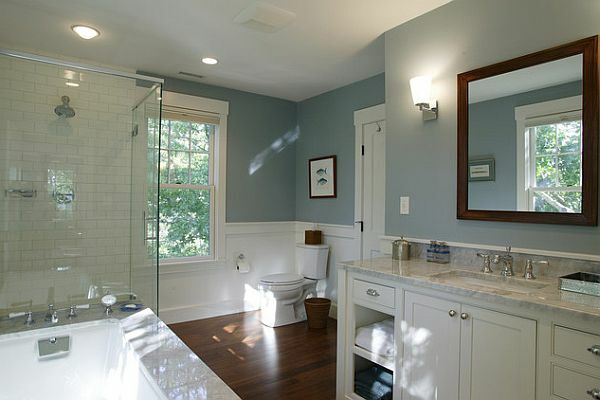 Depending on the type of fixture you want, this can be an incredibly inexpensive change. 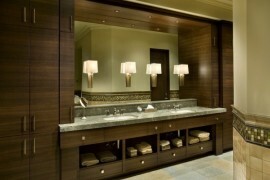 Remember that, for bathrooms, softer lighting is best. 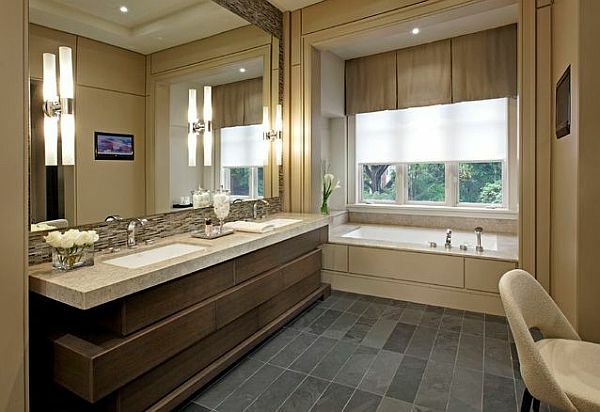 Bathroom Fixtures – Nothing ages a bathroom more than dated fixtures. 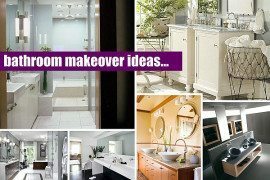 By changing out your old, overused faucets, door knobs, cabinet pulls and showerheads, you can spruce up your bathroom space with a screwdriver, a little effort and an hour or so of free time. Paint – If you’re ever in doubt about how to dress up a dull room, splash on a fresh coat of paint. 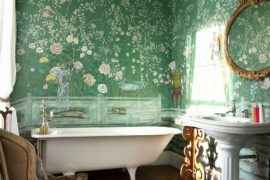 Unlike wall paper, paint is easy to apply and just as easy to change. New paint can also make a room look cleaner. 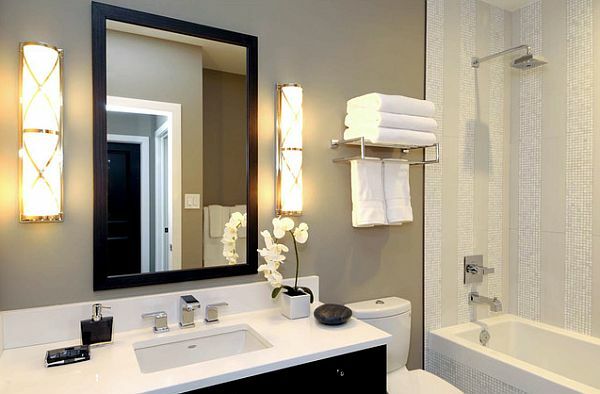 Bathroom Accessories – Over time, your bathroom rugs, toothbrush holders, soap dishes and other garnishes can become worn and outdated. 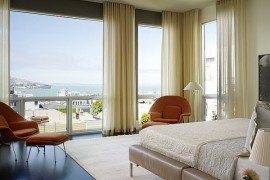 By replacing these items, you can give the illusion that you’ve updated your space without doing any real work. 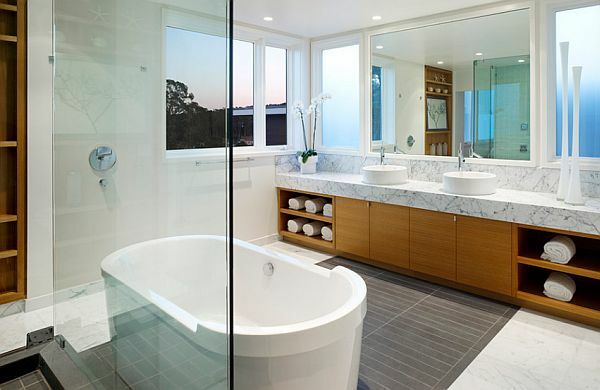 Bathroom Storage Space – Bottles of hair product, jars of cream, pieces of makeup or piles of children’s bath toys can make a bathroom look small and cluttered. 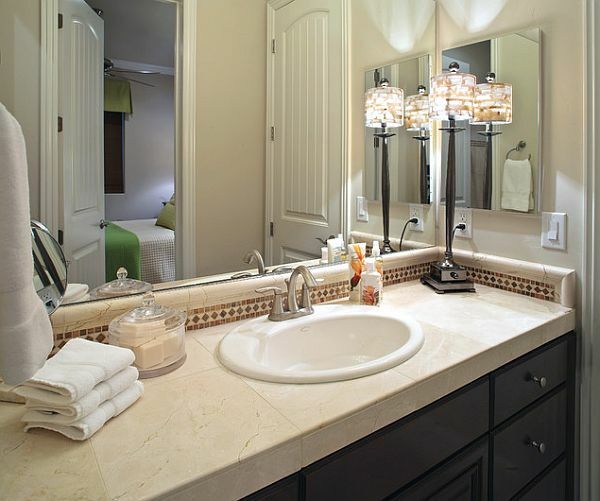 Invest in some cabinetry, baskets and other low cost organizers to store these items for easy access. 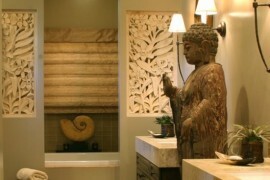 You’ll be surprised by how much you can update your bathroom by just removing a few unnecessary components.